In doing some research on Mary Boleyn for an article, I learned that Mary’s first husband William Carey died of the “sweating sickness” or the “English Sweate” in England in the summer of 1528. Thought I would look into this deadly and quick killing disease. There were outbreaks of the sweating sickness in England in 1485, 1502, 1507, 1528 and 1551. A sufferer of the disease in the beginning would experience a sense of apprehension followed by violent cold shivers, then giddiness, headache and pains in the neck, shoulders and limbs along with great exhaustion. Then the hot and sweating stage began. The sweating would break out suddenly and would be followed by heat, headache, delirium, rapid pulse and intense thirst. Palpitation and pain of the heart was a frequent symptom. The final stage was complete exhaustion and collapse or sometimes an irresistible urge to sleep. There was no immunity if one survived an attack and some experienced several attacks before succumbing. If one could survive the first twenty four hours, they usually lived. The main outbreaks were in England but it did appear in Ireland, Germany, Switzerland, Denmark, Sweden and Norway and into Lithuania, Poland and Russia. It also emerged in Flanders and the Netherlands. The disease did not discriminate. 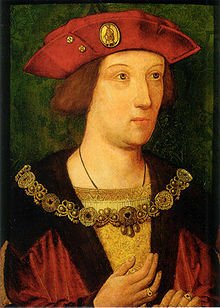 The historical records say Arthur Tudor, Prince of Wales and son of King Henry VII of England, may have died of the disease, leaving Catherine of Aragon a widow. The best friend of King Henry VIII, Charles Brandon, Duke of Suffolk had two young sons, Charles and Henry who died within hours of each other in the 1551 outbreak. Even Mary Boleyn’ sister and King Henry VIII’s great love Anne Boleyn suffered from the disease in the 1528 outbreak but managed to survive. The attacks would last just hours before a person died. The cause of the disease was never found and never appeared again in England after it was last seen in 1578. I’m wondering could it have been meningitis? Anything is possible. It is more likely to have been a hantavirus. See the link at the end of the article. It does mention hot weather. I do not see a mention of Arthur Tudor or 1502 in the link. Are there records of the weather in England around that time, other than Kington, John, Climate and weather ISBN-13: 978-0007185016? These things are easy to look up on the internet. About 40 years ago, I became frighteningly sick with symptoms almost exactly as The Sweat is described herein. My fever was so high and of long duration, it caused my palms and soles of my feet to peel! The doctor had no idea what it was. My mother took care of me, bathing me with cool water and changing my clothes and bedding once they were wet from sweating. The extreme symptoms lasted 2 days. The 3rd day, I was exhausted and a bit foggy, but well again. And then it came again three weeks later. I’ve never been that sick before, nor since, but often wondered if that had been anything like the Sweating Sickness. That is frightening Lauren. The best theory at the moment is it was a type of hantavirus. A virus of some sort? In those days hygiene was not an important part of their daily lives. Maybe something quite as simple as improved cleanliness entered their lives and slowly the symptoms were not so dramatic. I think it was a variant/mutant strain of influenza. The reason it never appeared again is it mutated. In several articles i have read it is believed that it could have been a particularly virulent strain of malaria, which was common in Britain at that time. They believe that as it coincided with summers that were particularly hot, it seems. And as another reader states, probably several pathologies were included under this generic term. Boy as a nurse the sweating sickness just drives me mad! I find it fascinating that something this deadly just pretty much appeared, lasted for a while and then disappeared. Kind of makes me wish I had a time machine (and a few really good surgical masks) to go back and see it in real time. I’d love to get some blood and spinal fluid from the victims as well! Yes debkauz, those samples would be most helpful in solving the mystery! I’ve often wondered about this. To me the symptoms sound very like meningitis. It’s definitely not an illness that’s gone away, but maybe it became less prevalent due to some environmental change? Yes una. It’s possible it’s still around in another form. I have just come from Romsey Abbey where there is a sad memorial to Henry Gryssell, his wife and four children. The parents were buried in 1658 having died from ‘The Sweating Sickness’. Is this a different sickness to that that plagued the Tudors? I can find nothing about the sickness post Elizabeth I yet 1658 is at the end of the Comkonwealth 80 years later! Hi Steve, My research didn’t indicate the sweating sickness lasted that long. I did find that when describing deaths, the diagnosis of “sweating sickness” was used as a catchall phrase for anything including pneumonia, fever, influenza, etc. This family may not have died of sweating sickness. Thanks for reading. Maybe that is the answer. Illness was very random in description then. Thank you Susan. I find history of disease and plagues very fascinating. Probably because the people become real as they explain their experiences. It is even more mysterious that it just stopped and never start again (at least in that form) after 1578. Henry VIII was really worried about her but he didn’t go to her side. He sent his own doctor. Whether it was good for England or not, Anne Boleyn was one of the survivors. Sad but interesting. I didn’t know Anne Boleyn went through this sickness.